Yiwu DANQ Household Products Co., Ltd.
2.logo and models can be customized according to requirement . 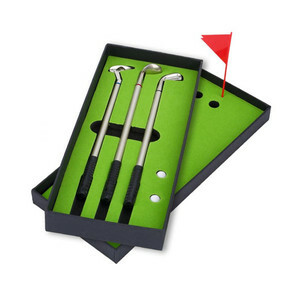 3.golf pen sets with pull cart , creative and nice looking . 4.stylish looking customers'design is highly welcomed . Ningbo Haozhushou Commodity Co., Ltd.
Good quality Baoer metal gift pen set JDS-YGF This pen is extremely cost effective promotional pens as is combines both good looks with a cheap price. You're not skimping on quality with these budget metal pens as they have a solid brass barrel and twist action retractable mechanism that is easy to use and the good balance of these engraved pens means writing is a pleasure. Choice of customization with laser engraving being the most popular option but we can also pad print your logo to any nominated Pantone PMS colour. 2.logo and models can be customized according to requirement . 3. OEM : Any customized logo and design can be made in our factory. Contact our sales team to see how we can help you save a lot of money. This edgy, sharp and stylish range is targeted at confident, professionals who agree that "Identity Matters". Present Time is a brand factory specialized in wholesale gifts and home decoration items. This brink pen set is good to be used as promotional gift,logo gift, business gift, high grade gift,souvenir and so on . 6). 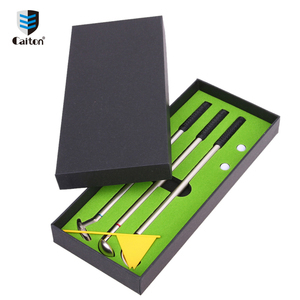 Alibaba.com offers 479 golf pen set products. About 32% of these are other golf products, 12% are ballpoint pens, and 6% are crystal crafts. A wide variety of golf pen set options are available to you, such as promotional pen, office & school pen, and business gift. You can also choose from plastic, metal, and wood. As well as from logo pen, banner pen, and multi-functional pen. And whether golf pen set is no, or yes. 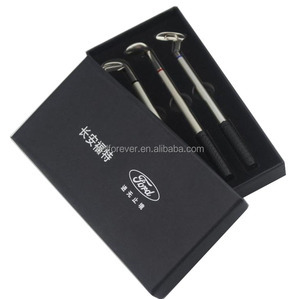 There are 391 golf pen set suppliers, mainly located in Asia. The top supplying countries are China (Mainland), Taiwan, and United Arab Emirates, which supply 98%, 1%, and 1% of golf pen set respectively. 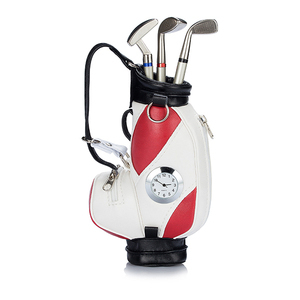 Golf pen set products are most popular in North America, Western Europe, and Eastern Europe. You can ensure product safety by selecting from certified suppliers, including 32 with Other, 13 with ISO9001, and 8 with BSCI certification.